Yesterday Once More was written by Richard Carpenter (music) and John Bettis (lyrics). It was first recorded by The Carpenters in 1973 and released on May 16, 1973 from the album Now and Then . 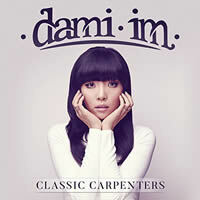 This version by Dimi Im was released in 2016 from her album, Classic Carpenters . Note: Please do not be put off by the chords. They may look pretty scary to some of you but they are all very easy to play after a little practice... all charts below. "Yesterday Once More" chords and lyrics are provided for educational purposes and personal use only.